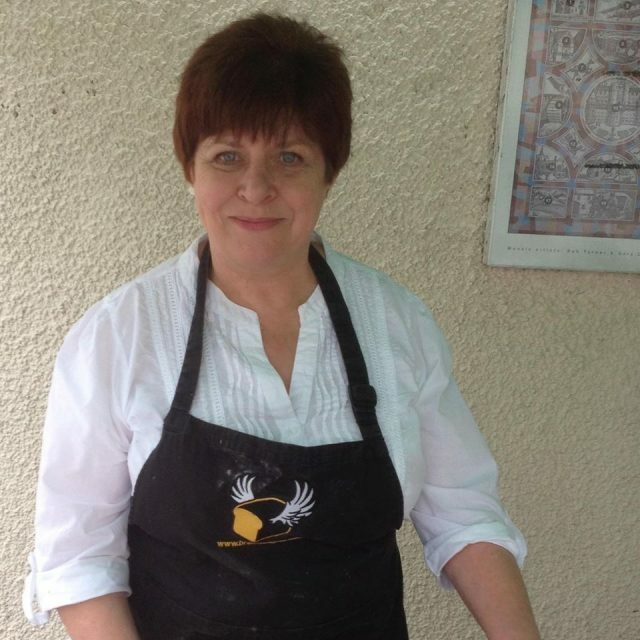 Gaye completed Virtuous Bread’s Micro Bakery course with Jane Mason in 2011 and became one of Jane’s first Bread Angels. Since then Gaye has been selling bread to her local community, teaching baking and trained over 30 people to set up their own micro-bakeries. She won awards in 2016 and 2018 at the Small Food Awards for her Swedish Rye Bread and Merlot, Fig & Red Wine Loaf. In 2017 she won Gold at the World Bread Awards for her Golden Raisin & Ginger Sweetbread.